Blowout Sale! 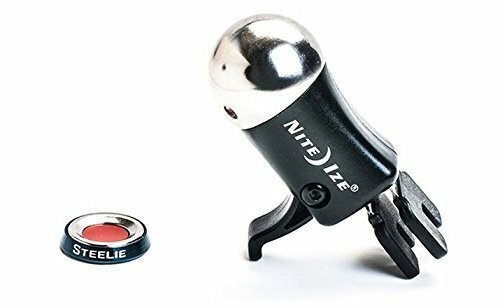 Save 58% on the Nite Ize Original Steelie Vent Mount Kit- Magnetic Car Vent Mount for Smartphones by Nite Ize at Tobby News. MPN: STVK-11-R8. Hurry! Limited time offer. Offer valid only while supplies last. 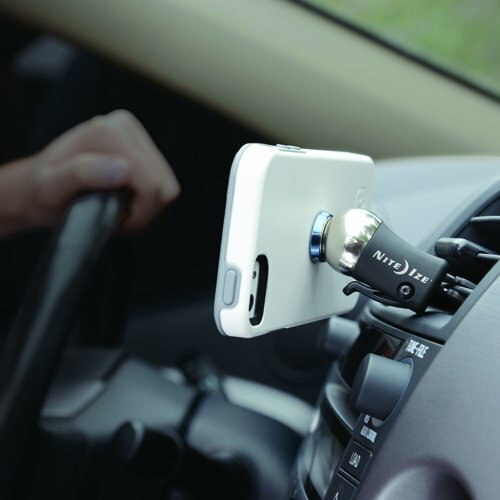 Why shouldn't your car phone holder have a brilliant, intuitive design? 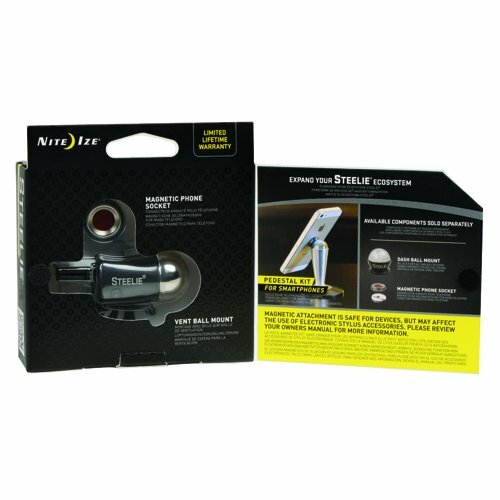 The Steelie Vent Mount Kit is the pinnacle of versatility and ease of use. Why shouldn't your car phone holder have a brilliant, intuitive design? The Steelie Vent Mount Kit is the pinnacle of versatility and ease of use. 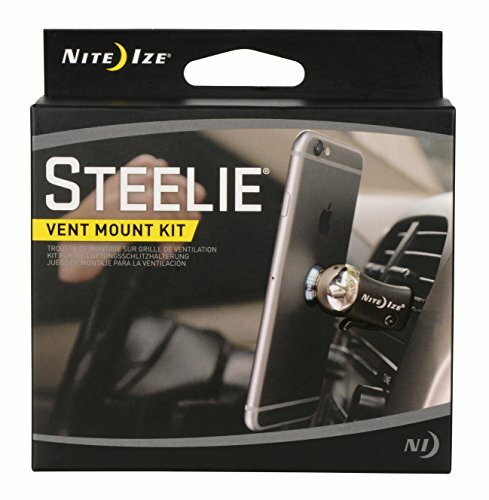 Using trusted Steelie magnetic mounting technology, this popular phone mounting system lets you be hands-free so you can keep your focus safely on the road, and the portable Vent Mount allows it to be easily transferred between multiple vehicles, ideal for families with multiple vehicles and those who travel frequently. This all-inclusive Vent Mount Kit includes one Steelie Magnetic Phone Socket with 3M VHB adhesive, one Steelie Vent Mount, an alcohol prep pad, and easy installation instructions. The machined aluminum Vent Mount features a strong, universal clip that secures to most any vehicle vent. The Magnetic Phone Socket is adhered to your device using the included 3M VHB adhesive which holds steadfastly to your device, but can be removed if you get a new iPhone, Samsung Galaxy, Google Pixel, or other phone. The socket features a powerful neodymium magnet and a smooth silicone ring that articulates with the Vent Mount, and that allows your device to be tilted and viewed in landscape, portrait, and everywhere in between. A smooth glide and firm grip ensures the phone stays securely in place, until you detach it with a simple twist or tug. 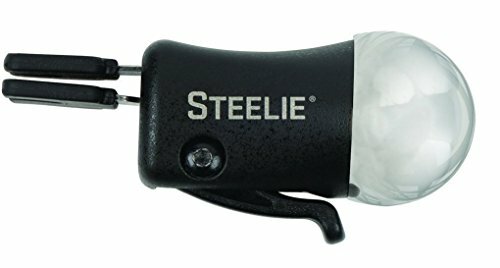 Speed bumps, potholes, quick turns are no match for Steelie's magnetic holding power. 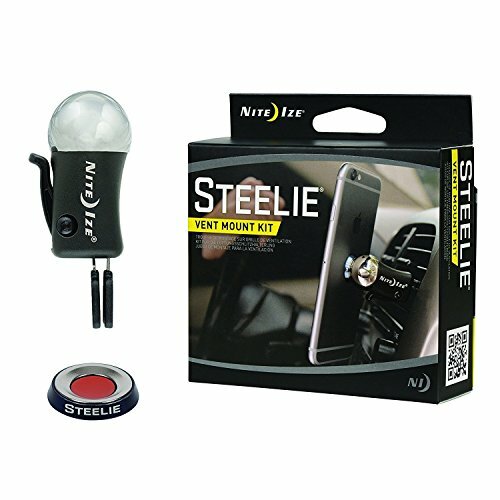 Because of its fumble-free, secure design, unlike many other car phone holders, the Steelie Phone Mounting kits are legal in all 50 United States. Plus, when you reach your destination and detach your phone, the Magnetic Phone Socket on your device means you can still attach it conveniently to other metal surfaces: refrigerator doors, metal shelving, other Steelie Mounts, and more. 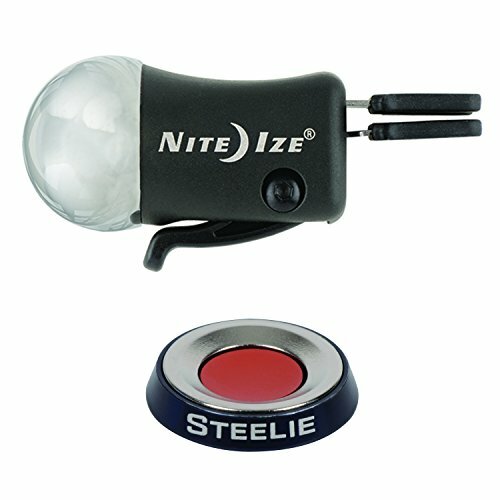 Steelie neodymium magnets are safe for use with mobile devices, but should be kept away from magnetically sensitive objects like credit cards, pacemakers or computer hard drives. The Vent Mount works best with traditional, horizonally-oriented vent blades. 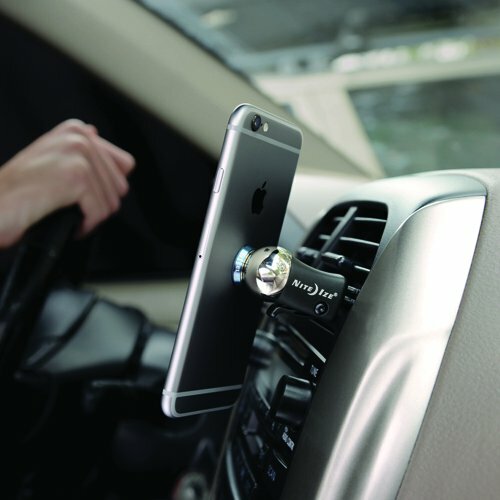 MAGNETIC CAR PHONE HOLDER FOR YOUR VENT, HANDS-FREE VIEWING - Dock your phone to most any vehicle vent in a snap, with a sleek and compact design using Steelie magnetic mounting technology. 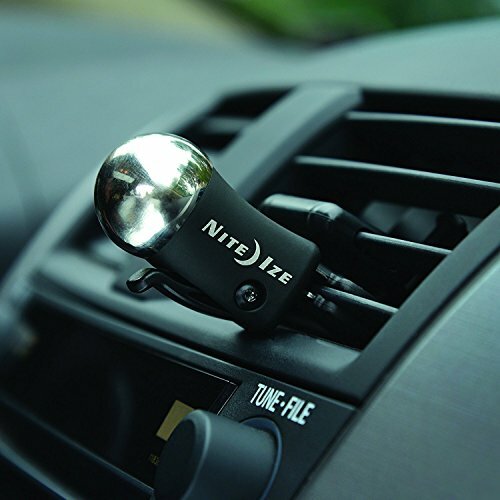 Secure just about any iPhone, Samsung, Google or other phone to most any car vent. PORTABLE VENT MOUNT FOR MULTIPLE VEHICLES - The universal clip mechanism of the Vent Mount allows it to be moved easily from car to car. Ideal for families with multiple vehicles or for frequent travelers. UNIVERSAL, SECURE ATTACHMENT TO PHONES + CARS - The included 3M VHB adhesive secures the Magnetic Phone Socket to most any Apple iPhone, Samsung Galaxy, Google Pixel, or other phone or rigid case. It will stay on securely as long as you want, but can be removed. This socket allows your device to magnetically attach to the included Vent Mount. The Vent Mount uses a secure cam locking lever to clip to most any vehicle vent. ADJUSTABLE VIEWING ANGLES - The Vent Mount features a steel ball that articulates with the Steelie Magnetic Phone Socket on your device allowing you to tilt your phone smoothly from landscape to portrait and everywhere in between. SAFE FOR USE WITH PHONES - The powerful magnet will NOT damage your mobile device. It can also be paired with GPS and MP3 devices. However, do not place it near magnetically sensitive objects such as credit cards, computer hard drives, or pacemakers.